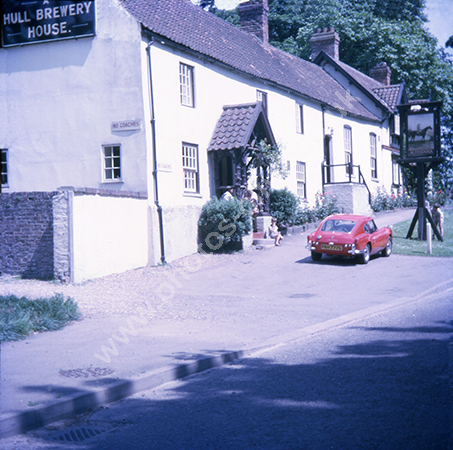 The Altisidora Inn at Bishop Burton near Beverley Yorkshire taken in 1969 and outside are children playing and a red Triumph sports car registration PKH 777G. For commercial use of this photo, including use on another website, please visit Alamy.com and search for M8JDNT. For a one-off print please see below.